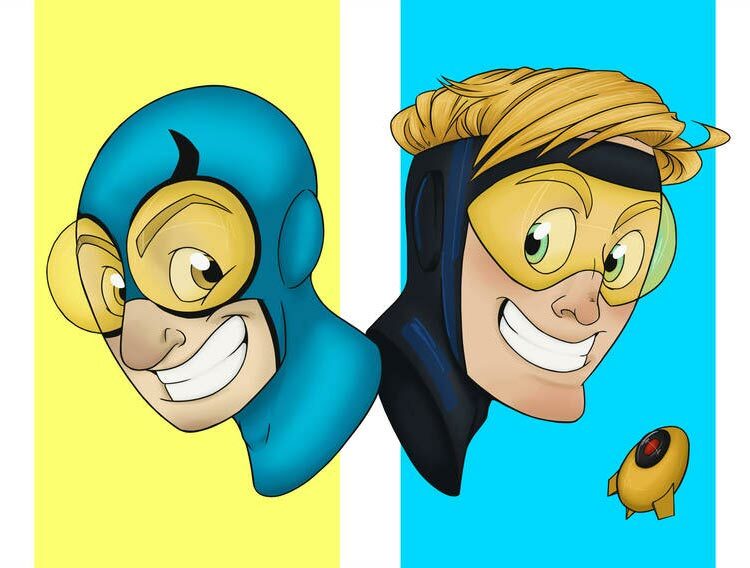 You can see more work by Steph, aka SketchItBucket, on DeviantArt.com. 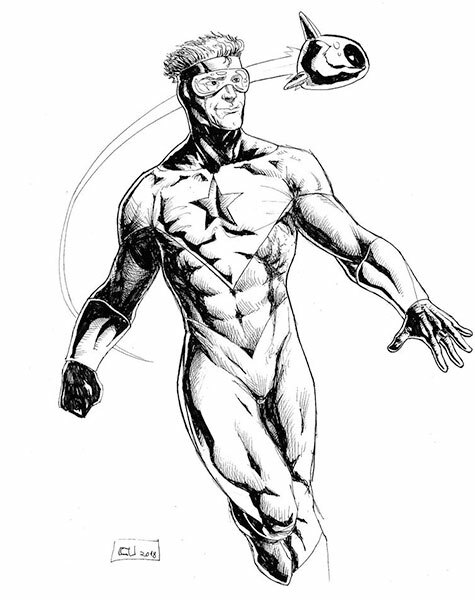 If Booster Gold gave three news interviews and then gave three more, how many interviews has he given in all? 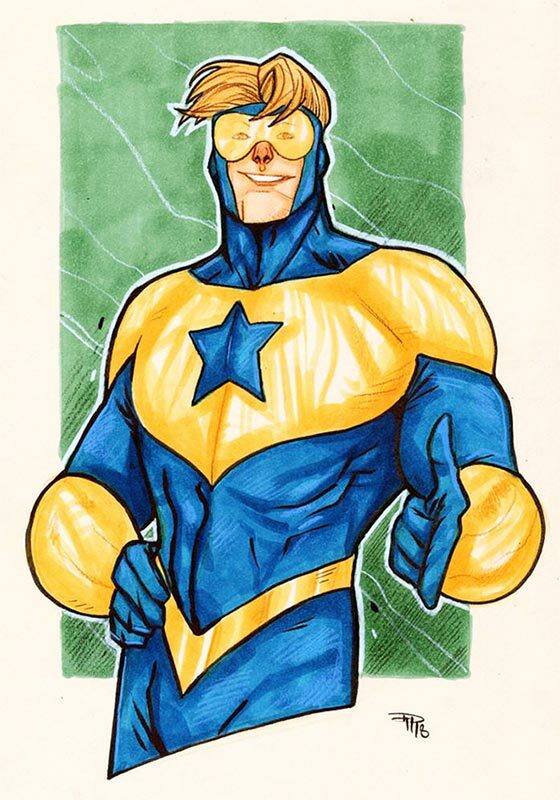 I never need a good reason to showcase a sweet Booster Gold sketch, so set your eyes on this beauty by Denis Medri. Medri is an Italian illustrator who posts as DenisM79 on DeviantArt.com, where you can see more of his work. 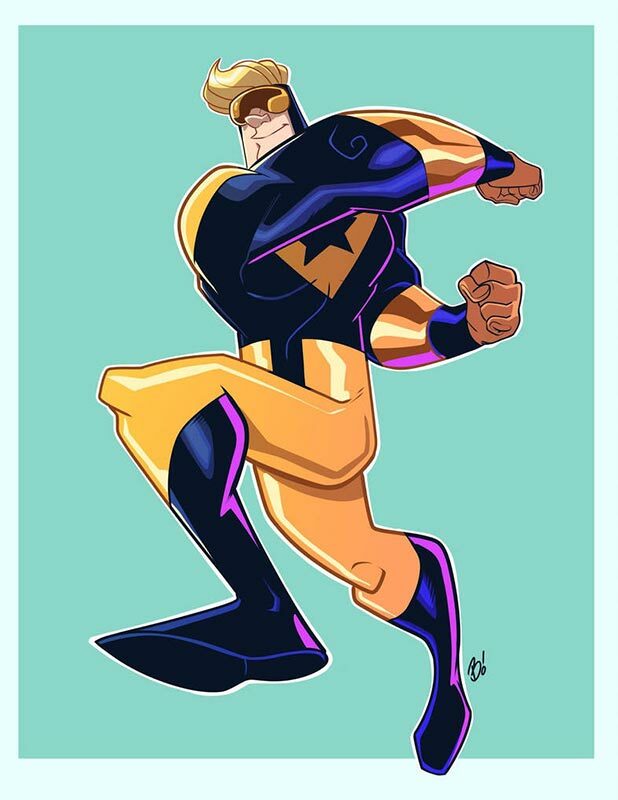 And if that's not enough Booster Gold fan art for you, check out Dalton Barrett's Instagram page, Barret.Digital, where he has envisioned DC Comics characters played by 1950s movie icons, including Elvis Presley as Booster Gold. Yesterday I reread Justice League Quarterly #1 When Booster forms the Conglomerate. 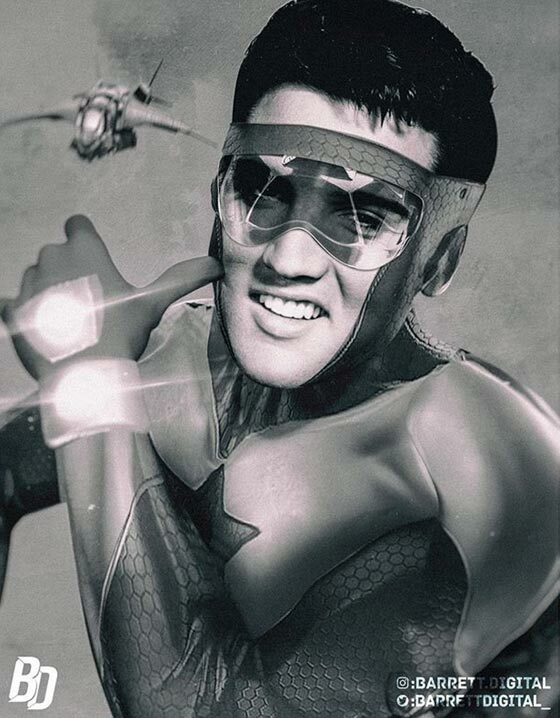 There's a news clipping in it from a tabloid saying they have proof that Booster is the reincarnation of Elvis. Ha! I should have thought of mentioning that. That panel is one of the corner boxes I use. 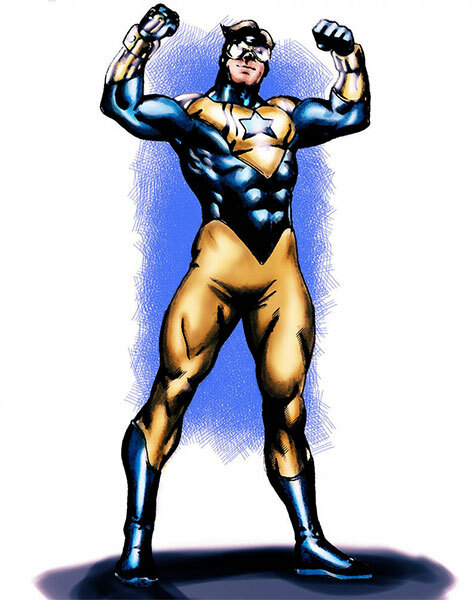 If Booster Gold gave ten news interviews and then gave ten more, how many interviews has he given in all? 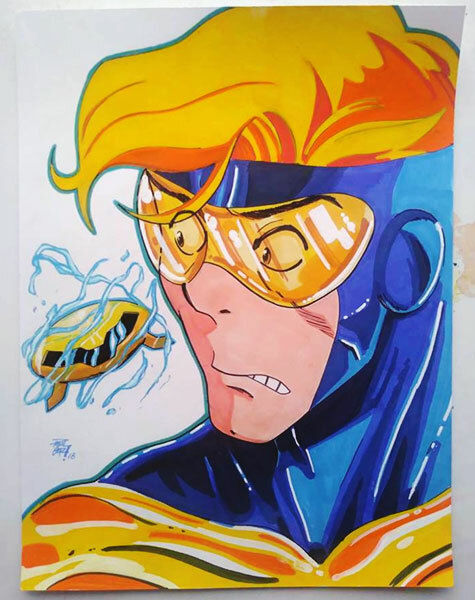 Booster Gold jumps into action in this fan art by illustrator Dave Bardin. You can find more of Mr. Bardin's excellent work on DeviantArt.com or DaveBardin.com. 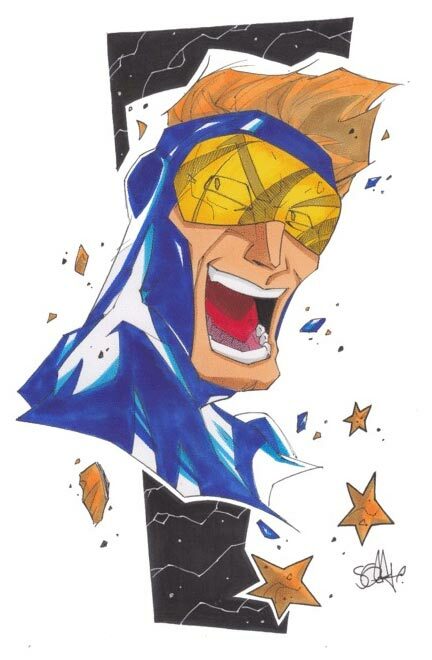 If Booster Gold stole five super powers and then stole ten more, how many super powers has he taken in all? You can find more of Scotty's art as 2hotty7 on DeviantArt.com. If a villain held ten hostages and Booster Gold freed three of them, how many hostages remain? There have been 2062 blog entries since January 2010.